Visitors have to queue for some 90 minutes before reaching the zigzag Jiuqu Bridge at Yuyuan Garden. 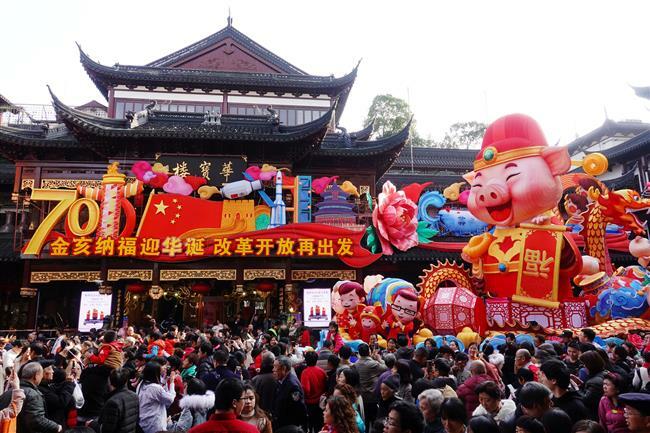 The city’s tourism spots welcomed loads of visitors on the second day of Chinese New Year, which was blessed with pleasant weather. Yuyuan Garden, Disney Resort and the Bund were all among the most popular choices. Crowd restriction measures were taken at Yuyuan Garden and visitors had to wait some 90 minutes before reaching the zigzag Jiuqu Bridge, and were only allowed to walk along the bridge in one direction. Yuyuan Garden received some 51,000 visitors by 11:20am on Wednesday. In Pudong, over 55,000 visitors entered the Disney Resort by 11am, and there were long queues at the resort entrance and in front of amusement facilities. Visitors had to wait for two hours on average for popular rides. Backup passenger restriction measures have been arranged at Metro Line 11’s Disney Resort station to handle momentary large crowds. At the Lujiazui area, Shanghai Tower, Shanghai World Financial Center and Shanghai Jinmao Tower all made Spring Festival themed decorations for visitors who came to “climb high” in the hope of a prosperous year ahead. 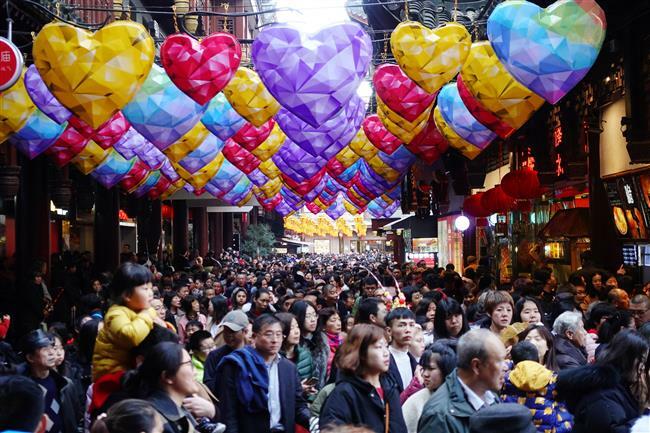 According to the tourism authority, the city’s major tourism spots welcomed some 701,000 visitors on Tuesday – the second day of the Spring Festival holiday – a 68.7 percent increase compared to last year. The Bund became the most popular spot, receiving a total of 208,000 visitors – a 54.76 increase compared to this time a year ago. Sheshan Hill in Songjiang District and Chongming Island also saw increases in the number of visitors this year. More than 50 museums and 17 art galleries are staying open during the Spring Festival holiday. 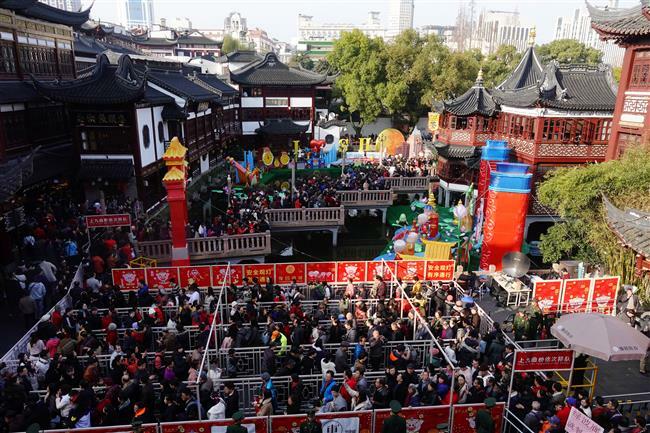 Visitors go to Yuyuan Garden to spend the second day of Chinese New Year. A large number of visitors go to Yuyuan Garden.